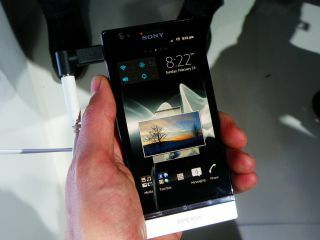 Sony has explained to TechRadar why its flagship White Magic screen technology was not used on the high end Sony Xperia S device. The new display (found on the Sony Xperia P) uses a new method of pixel powering to allow much greater visibility in direct sunlight, and questions were raised over why the technology wasn't used in the flagship device. "We're always looking at how we can take our technology to the next level, but we can't use White Magic in a bigger screen just yet. "We could physically use it [on the Xperia S], but basically the pixels too far apart [to offer the correct level of picture quality on a larger device]." "We don't want to say we just have the brighter screen; we want to offer great pictures and great contrast to make content look great, and that's the thing were playing about with. "However, we are investigating ways to improve the technology, as we always want to optimise for future products." So it seems that while the likes of the Xperia S won't ever get the next generation of screen capabilities from the development team, we might be seeing HD versions of White Magic displays in the near future.